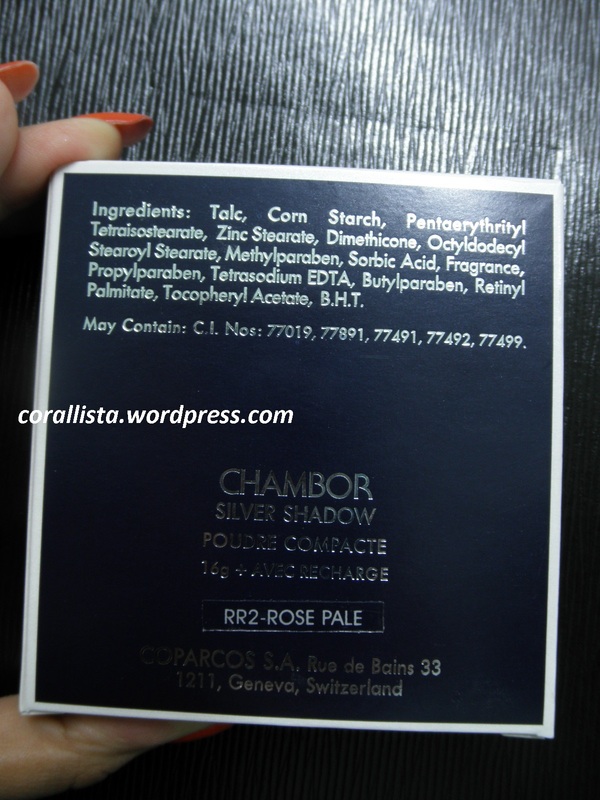 Today I am reviewing a product that has become a must-have for me – Chambor Silver shadow powder compact in shade #RR2 Rose Pale. 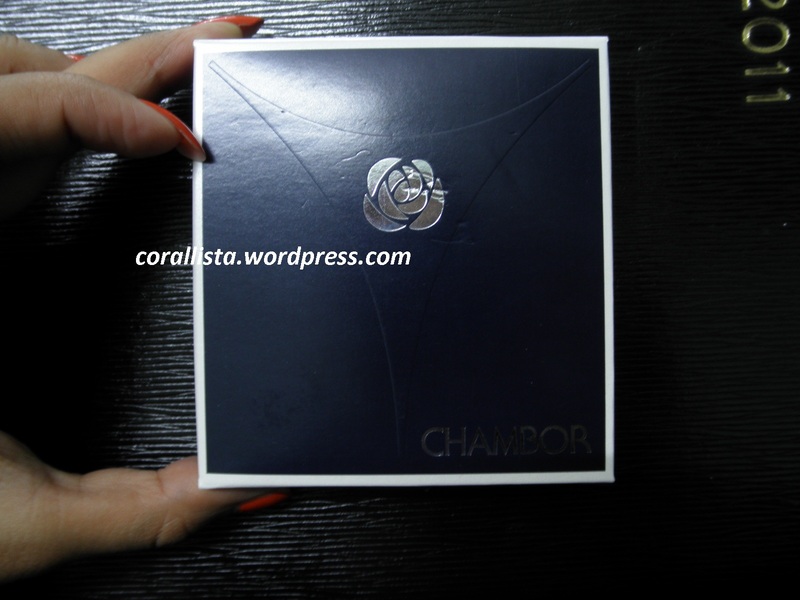 “A compact is a must have for all women of today & Chambor Brings to you Silver Shadow – a magical compact which will give you the flawless finish required in a jiffy. Chambor Silver Shadow is made up of Translucent Loose Powder which has excellent blending ability, smooth application & gives a silky feel; it also gives a healthy, flawless look. 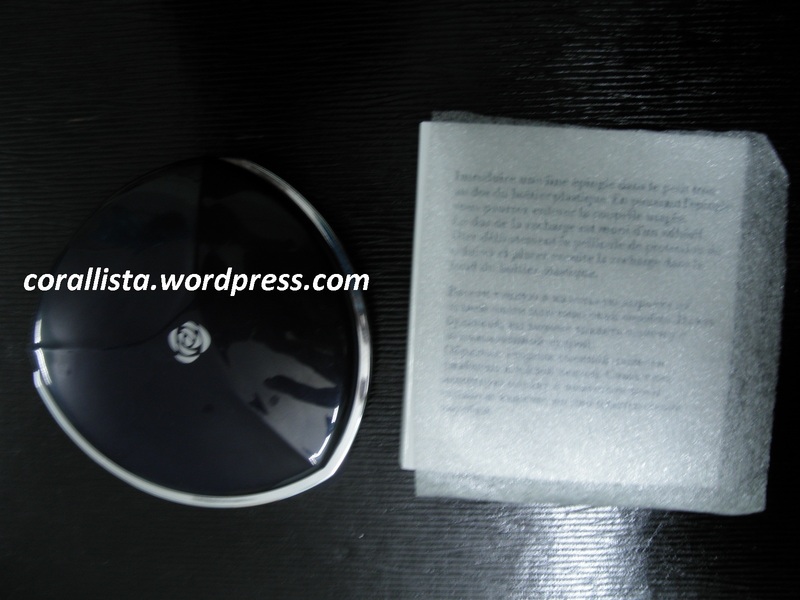 Packaging: The compact comes in a dark blue and white cardboard box which contains a refill pan as well. The casing of the compact itself is very beautiful and classy. It is navy blue/silver triangular shaped with the trademark chambor rose on the top side and the name, shade and quantity on the underside. It has a tiny hole at its underside. By inserting a pin through this hole, the used pan can be removed and replaced by the refill pan. the refill pan comes in a transparent polythene cover, further wrapped in a card sheet envelope and a foam-like sheet. 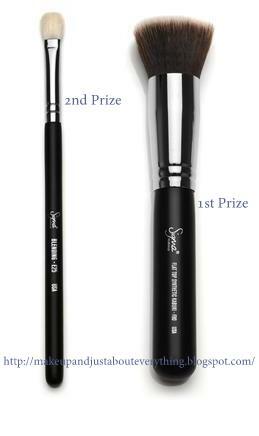 It comes with a good quality mirror and a round puff type applicator. 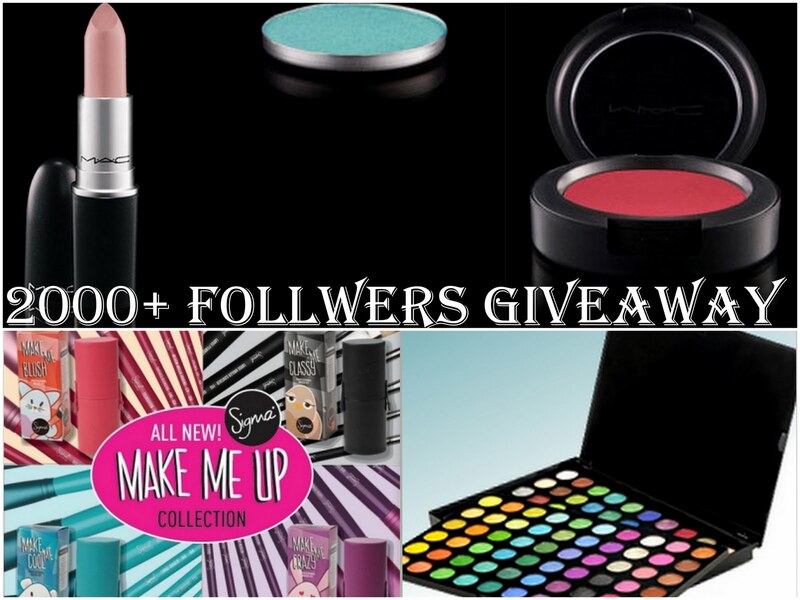 Application is easy and typical of any other compact powder. 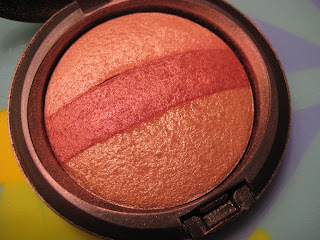 Texture : It is a compact pressed powder and feels silky and smooth to touch. It it not chalky or loose compressed. 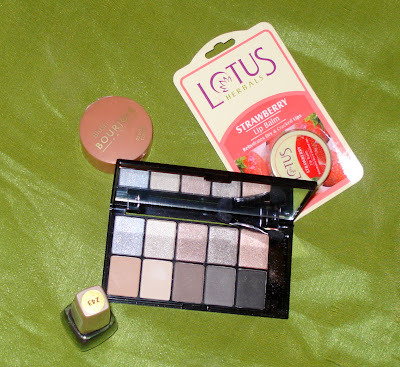 It blends very well when applied on the face and gives a smooth, matte look. 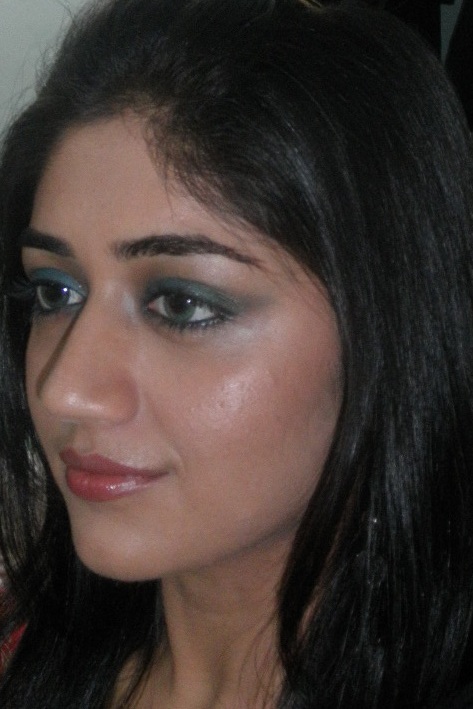 The powder has a mild fragrance which disappears when applied the face. 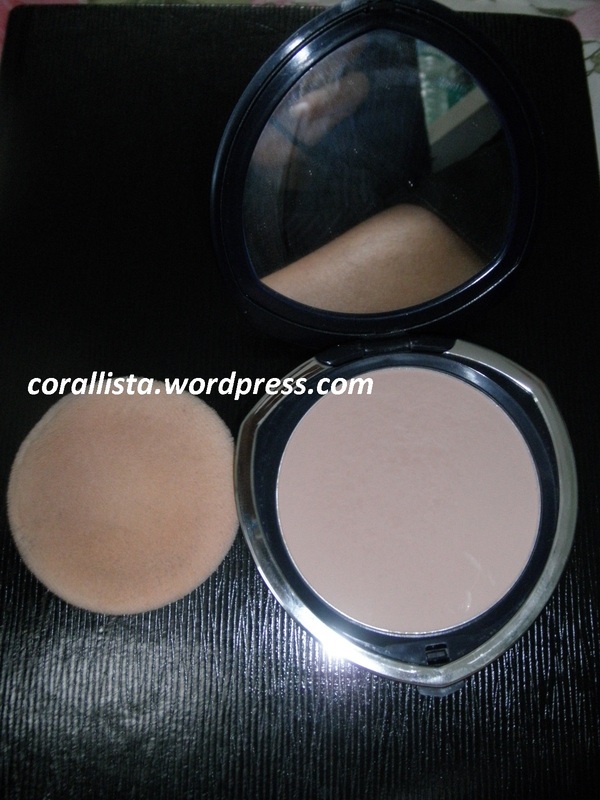 Coverage: Being a compact, it gives sheer coverage and hides my blemishes and pigmentation to some extent. Can be used alone or over foundation. Very little quantity is required to cover the whole face and neck. On a daily basis, I just use this over my moisturizer and I’m good to go. However, in winters, if I do not moisturize well, it tends to highlight the dry patches on my face but that is something any powder would do. Staying power: I have a very oily T-zone and inner cheeks and it controls oil effectively upto 4-5 hours and even after travelling and being out in the sun, my face retains a fresh look. It is oil free and non-comodogenic and hasn’t broken out my sensitive/acne prone/combination skin at all. It does not contain SPF though. Shade selection : It comes in 4 shades : from lightest- RR1 Ivoire , RR2 Rose Pale , RR3 Sable , RR5 Noisette. I feel the shade selection is quite limited especially for duskier skin tones. I am NC 37/40 in MAC and I was matched with RR5 by one SA and RR2 by another. 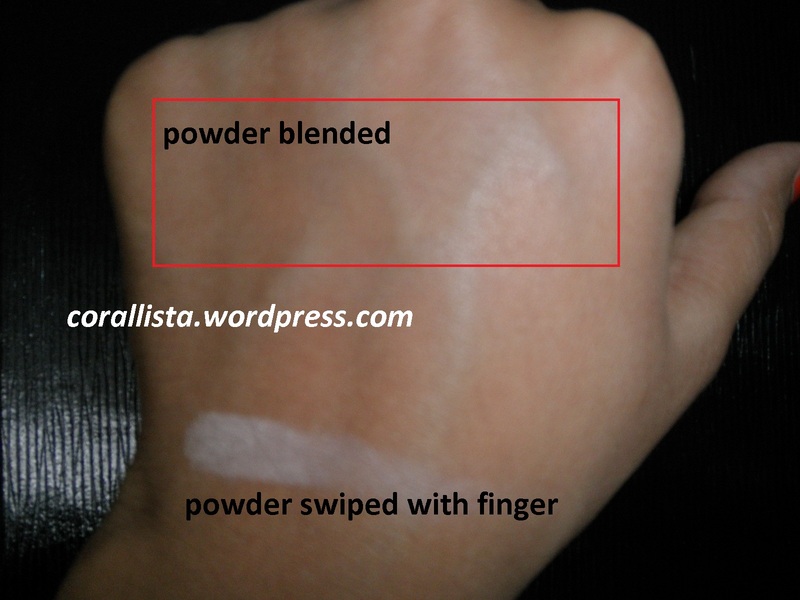 RR2 and RR3 shades are almost similar except that RR2 has a pinkish undertone whereas RR3 has a yellowish undertone. My mum is NC41 and uses the RR5 shade. Though the SA was convinced RR2 is the shade for me, I applied RR2 and RR3 on one half of my face each at the counter and 4 hours later when I came home, my skin still looked quite fresh and though the shades looked very similar on my face, I went ahead with the RR2 because of the pinkish undertone. 4. Non comodogenic and oil free- hasn’t broken me out at all. 8. Water resistant- this claim is true, even after being out in the sun and sweating a little, my face still looked fresh and matte. 9. No animal ingredients and complete list of ingredients given. 10. Dermatologist and ophthalmologist tested. 2. Limited shade selection especially for duskier skin tones. 4. The mild fragrance might not be liked by some people. Final verdict : It is great compact for daily wear especially for oily/combination skinned ladies who don’t wear foundation everyday but need something for slight coverage and smooth matte look. It is oil free, does not clog pores and controls oil upto 4-5 hours. The packaging is sturdy, easy to carry and classy looking. 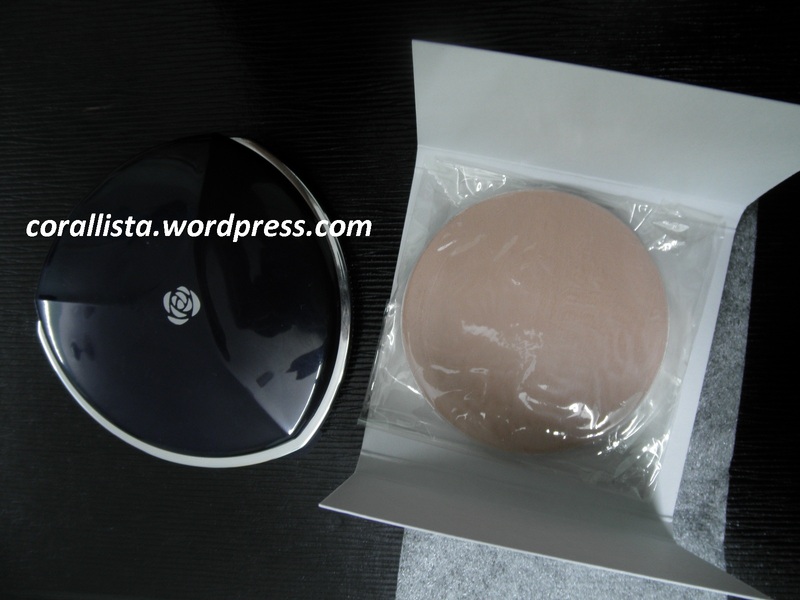 One package (Compact +refill pan) will last a long time as very little is required for entire face and neck. The price might ‘feel’ steep if compared to Maybelline white stay and Lakme perfect radiance compacts but I’d rate this compact better than the others in terms of value for money- at least in case of Maybelline whitestay UV (which I have used and hit pan).Moreover, it contains a lot of product 16 g x 2 i.e 32 g whereas the other ones contain about 8 g of product. Will I repurchase this? This pack will last me 4-5 months easily but when it gets over, I will ! 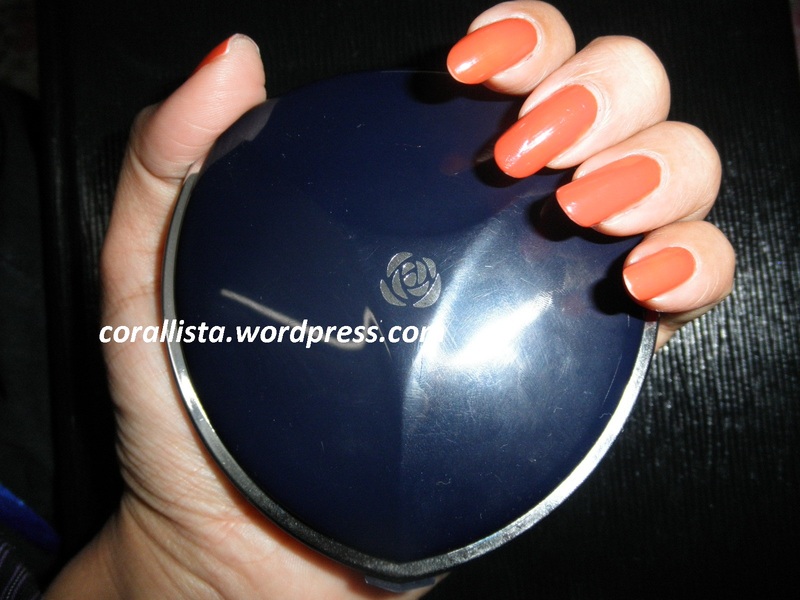 Have you tried the Chambor silver shadow compact? 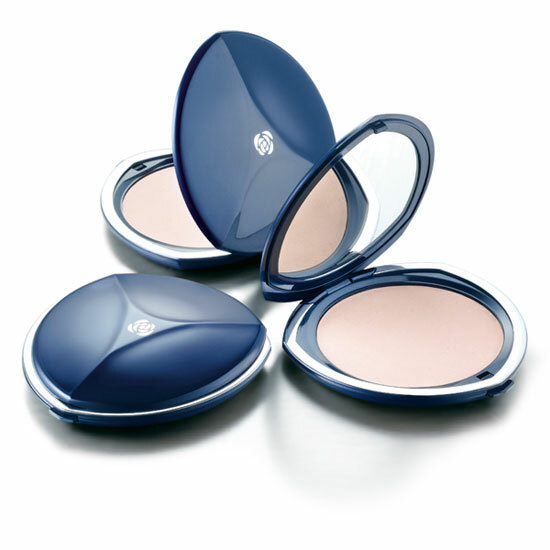 Which is your favorite compact powder? Let me know your comments by replying below.